For forty years, Mike’s practice has been devoted to the exclusive representation of employers and their management teams in dealing with the full range of labor and employment issues. He has represented employers in contract negotiations with virtually every major union in the U.S. and Canada. 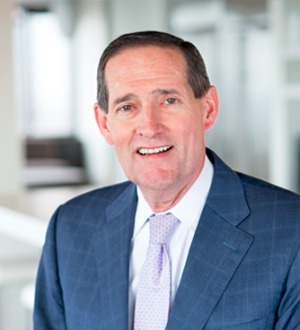 Throughout his career he has focused on representing health care and higher education institutions, as well as manufacturing companies and service organizations. Mike currently serves as a member of the firm’s Management Committee that is charged with the responsibility of focusing on the strategic planning and overseeing the day-to-day administration of the firm. He has been recognized at the highest ranking, Band 1, in the area of Labor and Employment by Chambers USA: America’s Guide to Leading Lawyers in Business and designated Best Lawyers’ “2016 Lawyer of the Year” in Employment Law—Management in Cleveland. Mike is continuously named to The Best Lawyers in America and the Ohio Super Lawyers list.